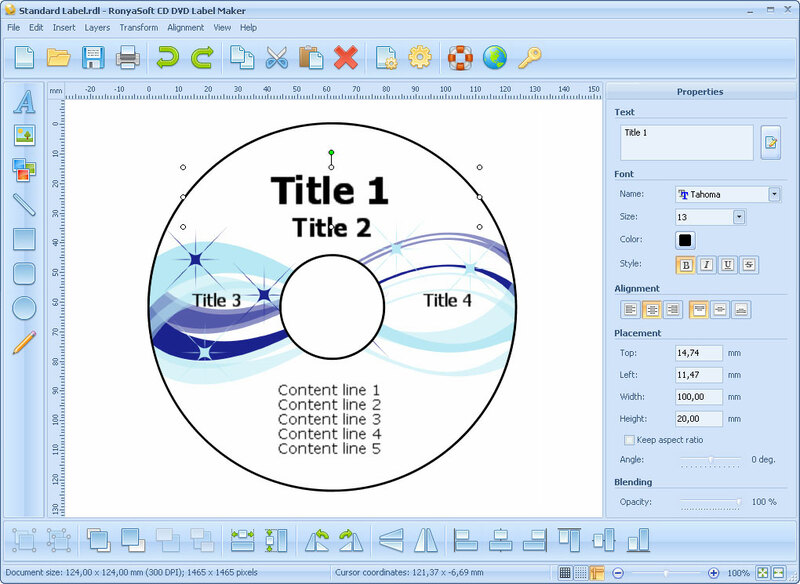 RonyaSoft CD DVD Label Maker can be useful for you. Is software worth downloading it? Who knows. But if you are going to organize your video and mp3 disc collections, if you are going to create DVDs with some prominent events, if you are bored with handwritten scribbles on your CD-Rs and DVD-Rs, if you are not a professional designer and just want to make CD covers and even if you need temporary paper sleeves to gift burned CDs or DVDs to your friends, just try it. The version that downloaded contains no circular label template. Kinda defeats the purpose. But, I suppose that 'free' for you. This is a very nice label maker. Simple to use. You can rotate, crop, resize. Included are some very useful templates. My favourite being the paper sleeve.